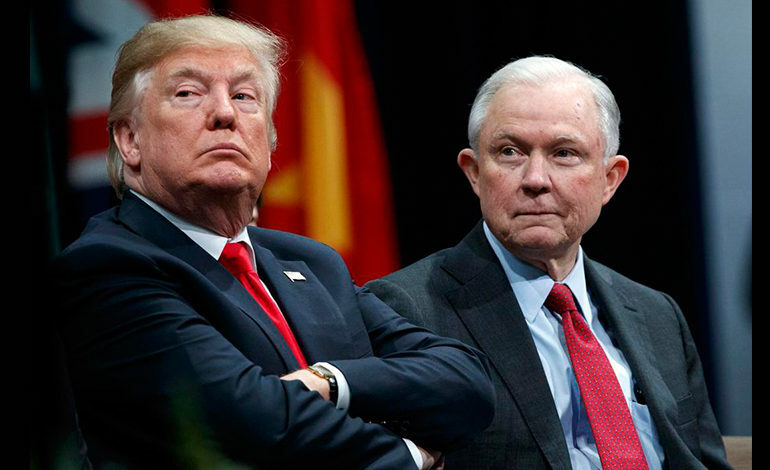 WASHINGTON D.C. — President Trump fired Attorney General Jeff Sessions Wednesday and replaced him with Matthew G. Whitaker, who has complained about the special counsel investigation into Russia’s election interference. Sessions submitted his letter of resignation at Trump’s request. Whitaker, a former United States attorney in Iowa and onetime Senate candidate in the state, has questioned the scope of Special Counsel Robert Mueller’s investigation. Whitaker wrote in a CNN column last year that he thought Mueller examining the Trump families finances would be a step too far. “This would raise serious concerns that the special counsel’s investigation was a mere witch hunt,” he wrote. Mueller has subpoenaed the Trump Organization for any documents related to Russia. Sessions had recused himself from the investigation in March of 2017 due to his active role in Trump’s 2016 presidential campaign. Deputy Attorney General Rod J. Rosenstein oversaw the investigation until Wednesday. On Wednesday Democrats requested that Whitaker recuse himself due to potential conflicts of interest such as his connections to a witness in the investigation as well as his criticisms of the Mueller investigation. “Given his previous comments advocating defunding and imposing limitations on the Mueller investigation, Mr. Whitaker should recuse himself from its oversight for the duration of his time as acting attorney general,” said Senator Chuck Schumer of New York, the Democratic leader, in a statement. Justice Department ethics advisors may be called in to determine in Whitaker should recuse himself. In which case, Rosenstein would continue to oversee the special counsel. An administration official stated that Whitaker had no immediate plans to take action regarding the Russia inquiry. “I am committed to leading a fair department with the highest ethical standards that upholds the rule of law and seeks justice for all Americans,” Whitaker said in a statement Wednesday.